Hammer & Steel, Inc. maintains one of the largest rental inventories of domestically produced hot rolled steel sheet piling products in the United States as well as a full complement of H-piling sections, Combi-wall system combination wall piling, and Peiner beams. 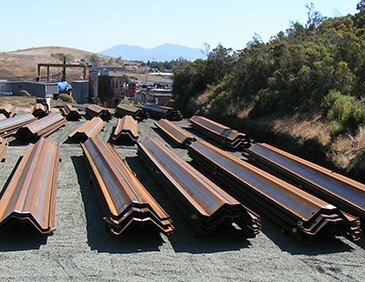 Our stock includes steel sheet piles from all of the top domestic manufacturers like Gerdau Ameristeel, Shoreline, and Superior, as well as international producers like Nucor Yamato and Hoesch. Our steel sheet pile sections include new and used PZ 27, new high efficiency "Z" sections, PZC™ 13 / PZC™ 18, and heavier PZ 35 and PZ 40 sections. 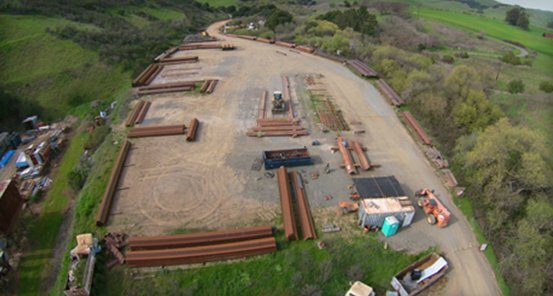 Steel sheet piles can also be ordered for direct shipment from mill rollings to minimize job site delivered costs. With multiple stocking facilities throughout the United States, Hammer & Steel has a large selection of steel sheet piling products available for sale or rental. The "ball and socket" connection interlock allows for flexibility in setting while remaining very durable under driving conditions. 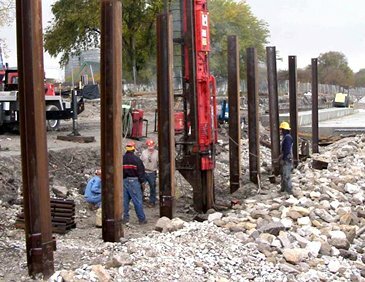 Hammer & Steel maintains large stocks of steel H-Piles at all of its facilities around the United States. These structural beams are used extensively for deep foundation applications and add stiffness and support to sheet pile walls and foundations. 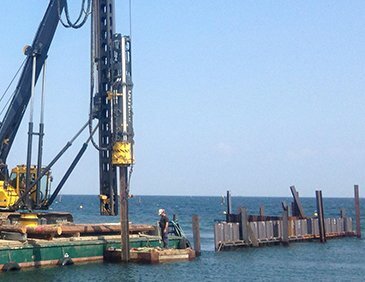 Combined Wall Systems are formed by using beams and steel sheet piles for added strength for applications including river cofferdams, bridge pier protection, foundations, and levee construction.